ECR Sports Presenter Alain Tardin shares his opinion on who the unsung heroes of the sporting industry are. I sat watching two amazing sporting feats this weekend in the form of the Sharks claiming Currie Cup Glory, and Don Madge stamping his authority amongst the world's fighting elite in his UFC debut. There were certain aspects to these achievements that many will never understand unless they have competed at an elite sporting level. The first aspect that most will never comprehend is the amount of time and effort an athlete has to clock in to achieve even the smallest of goals. These goals can start for most at the age of 6, which of course, lay the foundation for the end goal of competing on the 'big stage'. Along the way, the athlete will experience every form of glory as well as every emotion involved with failure. These emotions have a massive impact on the overall outcome in one's career. This is when 'the unsung hero' as I like to call them, play a massive vital role in an athletes' life. These unsung heroes which I am referring to are, of course, the coaches who know their athlete better than anyone. Put yourself in Coach Richie Quan's shoes for a minute. Your fighter, Don Madge, gets the call to take part in the world's largest fighting stage, with the deadliest fighters in the world. 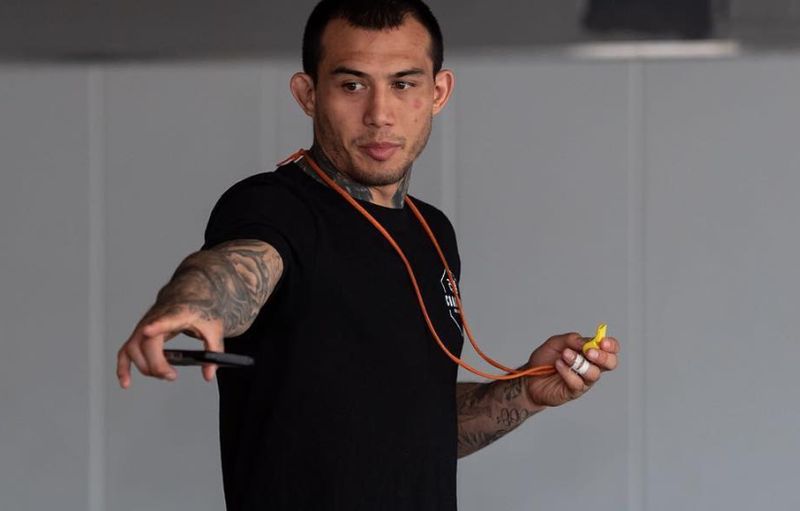 Your job is to not only manage Don's emotions leading up to the event but to also essentially ensure your fighter, who becomes like your son or brother, doesn’t get badly injured. Imagine the stress that can play on a coach's mind. Your fighter's safety is based on your knowledge and advice passed on. Imagine telling your son or daughter: "Okay love, you’re going to go in that cage to get hit with elbows, knees, shins, fists, and a whole bunch of possible breaks, so good luck!" Teams like the Sharks and athlete's like Don Madge didn't just get to where they are with a bit of luck. When you spend over 6 hours a day, 6 days a week perfecting your craft, there is very little luck involved. Yes, many will say there are those who spend the same amount of time perfecting their craft yet never achieve anything. The simple question would then be: "How are they spending those 6 hours?" Do you think Chad Le Clos would have won Olympic Gold if he just swam up and down with zero guidance for 6 hours a day? I don't think so. From my days as a professional athlete to now, there is one common trend that I have noticed years past my time that tends to separate what I call the 'man' vs 'the man'. What separates these two groups is again the unsung heroes ability to manage the outcome and mindset of the athlete. 'The Man' gets lost in translation as I like to call it. They reach a top level at a local level winning a South African title here and there and automatically position themselves at the top of the world food chain. 'The Man' will go about their day with a superstar mentality often replicating what they see from actual high-level world champions when in the bigger scheme of things, they don't even feature in the top 1000 in the world. Don’t get me wrong, becoming a South African champion is a great achievement, but managing the goal from there requires a whole new mindset. This type of athlete has the potential to succeed internationally, yet they will more than likely fade into the sunset as an angry bitter person without the correct mentoring. 'Man' on the other hand is an athlete who is never satisfied with his result. Yes, he/she will be happy with a win, but they will always strive for the next best outcome no matter what it takes. It is this type of athlete who will win a South African title yet that evening you will find them researching which competitor they need to beat worldwide to essentially be the best. You will find this athlete scrutinising every aspect to their daily lives, ensuring every step will lead to the end goal of being the best. They will rather come 50th at the local event if it means he/she will gain the necessary knowledge to achieve their end goal. 'The Man' on the other hand seeks instant gratification. This athlete will do just enough to get by to retain his name locally rather than focussing on the bigger picture. Again the unsung hero here is the one that can determine which category his team or athlete falls under. When you have a coach paired with a team or athlete that understands this concept and instils this mentality day in and day out, you will see the results as seen by the Sharks and Madge camp this past weekend. It is easy to sit back and criticise behind a PC or a cell phone, but do yourself a favour and stop to think what it actually takes. Ask yourself the question: “Could I do what they are doing?” If your answer is "yes I can", then why aren't you on that field or in that ring? Sadly people would rather criticise or feel a sense of joy at seeing someone fail. The only reason one feels these emotions is because deep down that person knows they wouldn’t be able to achieve half of what that athlete or team has just achieved, let alone sacrifice the time that goes with the result they are so quick to criticise about. In sport, things can go great, or horribly wrong, but at the end of the day, there is one person who controls it all, and that's the unsung heroes called coaches. So as we wrap up a week of amazing sport, I would like to personally salute these unsung heroes for all the memories, victories, and dreams they create for our children, who in essence will be the future of sport in South Africa. Disclaimer: East Coast Radio encourages freedom of speech and the expression of diverse views. The views of columnists published on East Coast Radio's website are therefore their own and do not necessarily represent the views of the station.